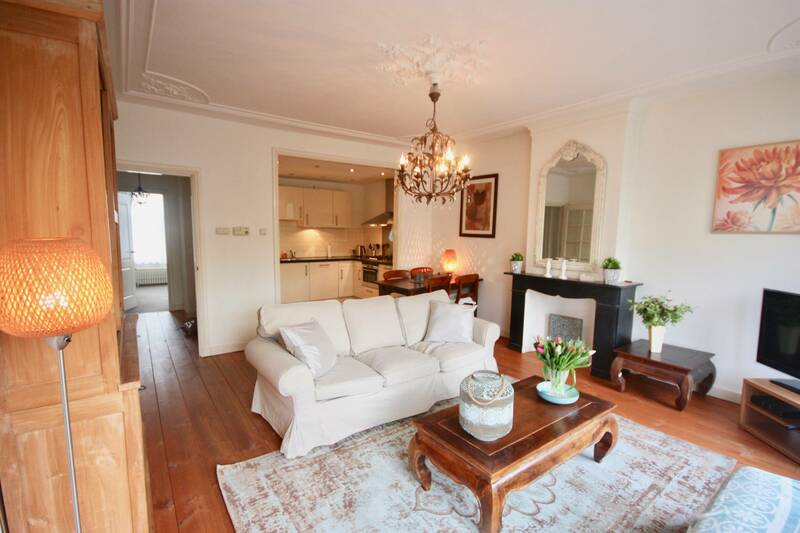 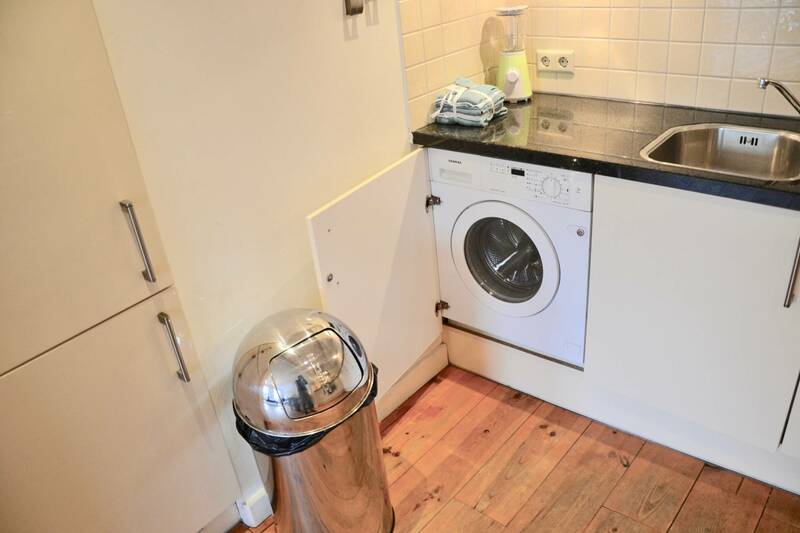 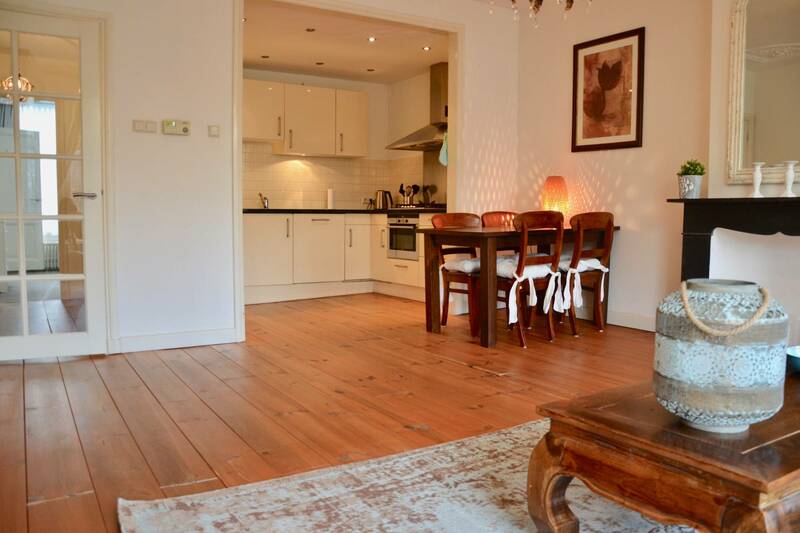 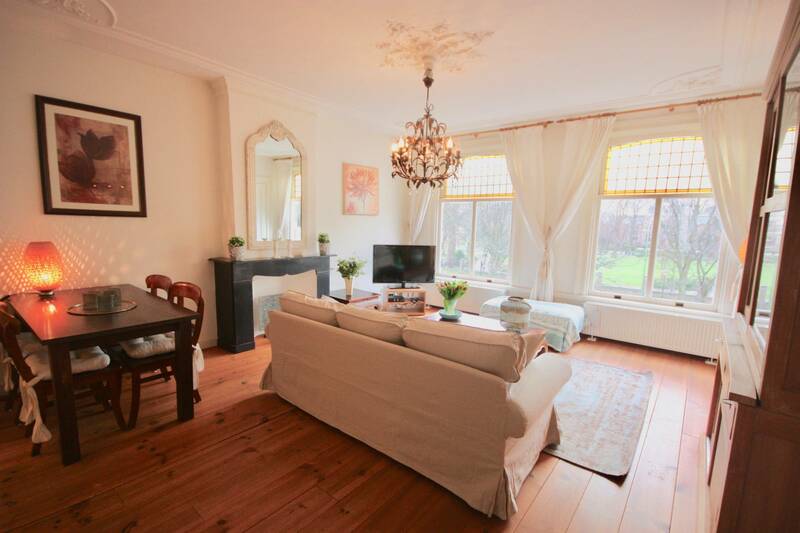 Two bedroom apartment in a beautiful Dutch townhouse with a view over the canal. 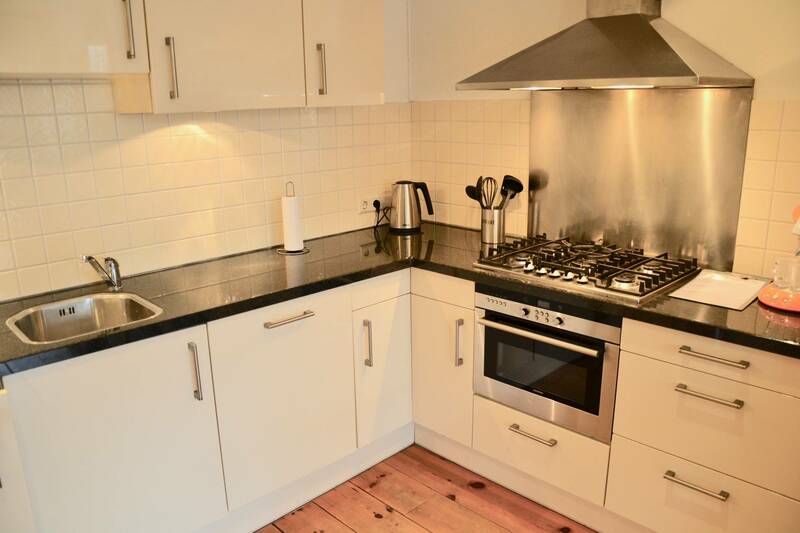 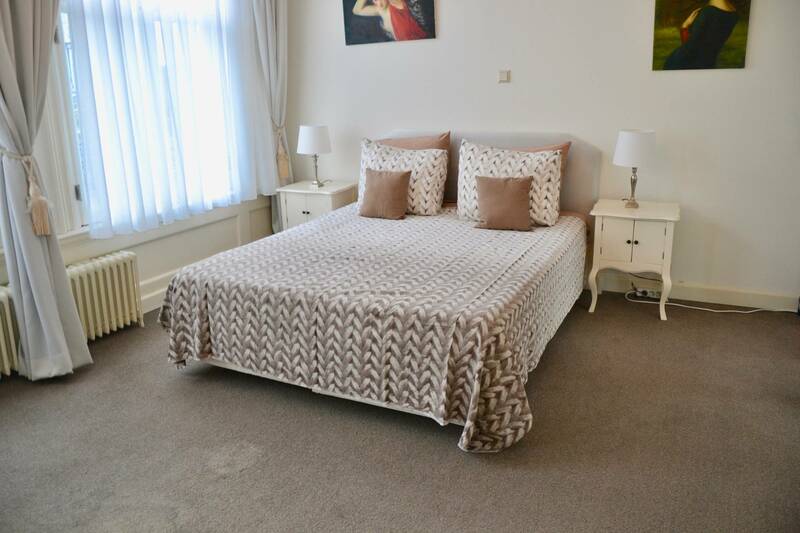 This is a nice and well furnished apartment with 2 bedrooms opposite de Royal Gardens and close to shops, restaurants and public transport. 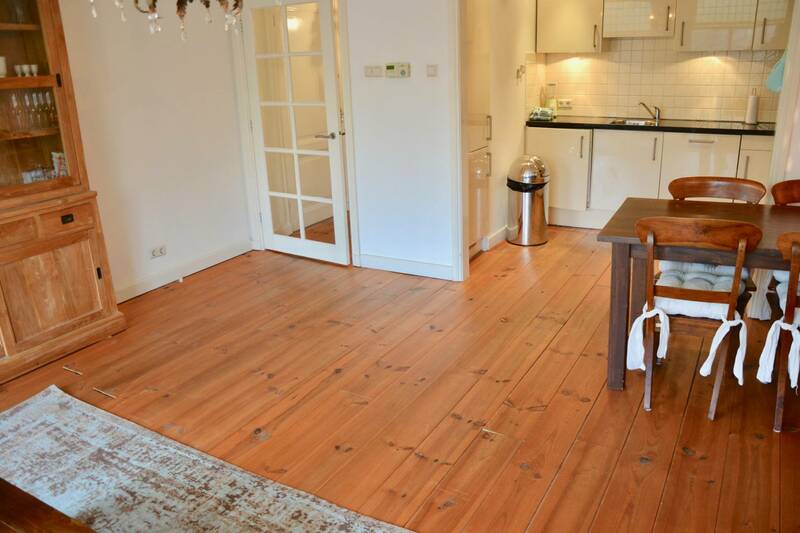 This apartment offers a rare occasion in the city center with a total living space of 95m². 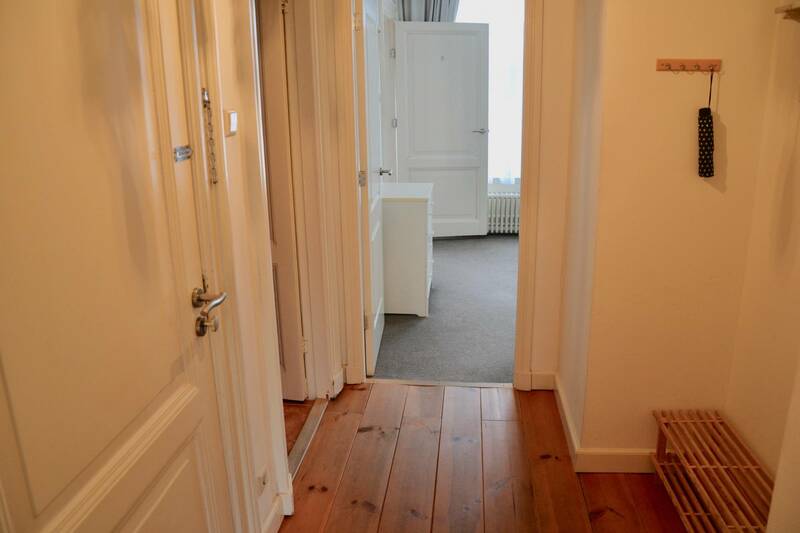 Entrance and stairs to the second floor. 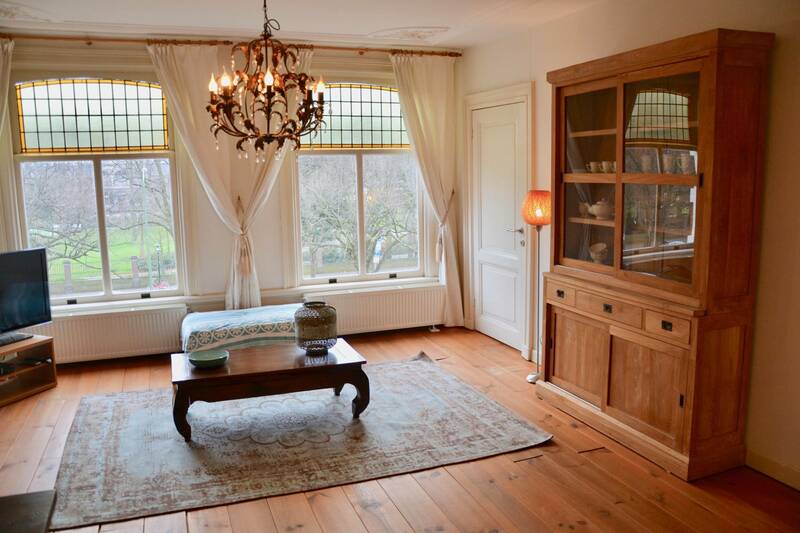 Entrance and landing/hall. 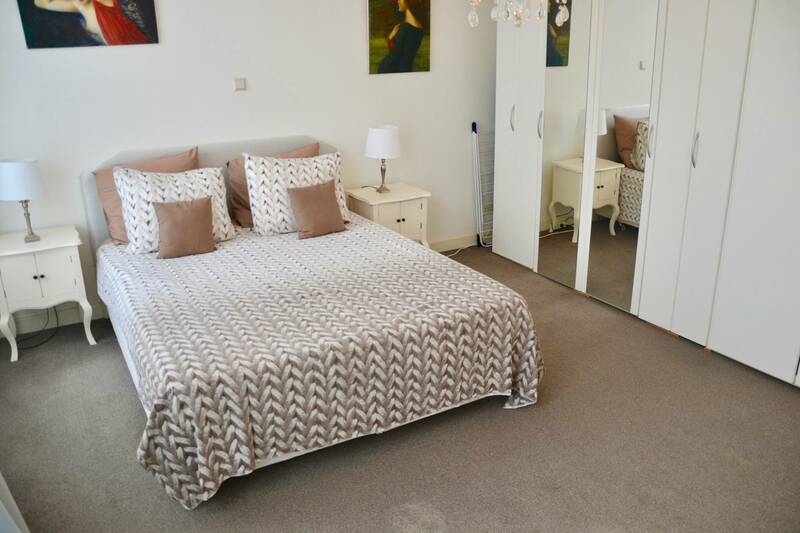 On the right a living, bedroom/study and kitchen; on the left a separate toilet, master bedroom and an ensuite bathroom. 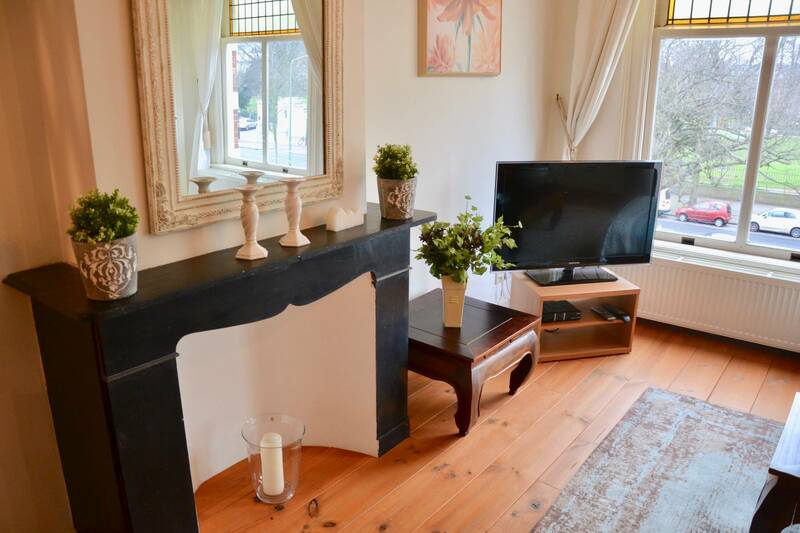 The livingroom (ca.33 m²) with tasthful nice furniture; a partly open kitchen (ca.10m²) with all appliances and a washingmachine. 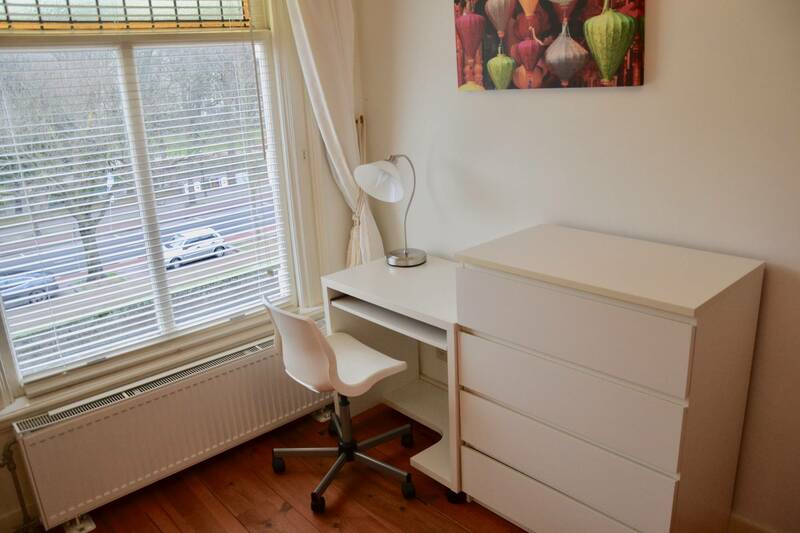 A side room ( ca.12m²) can be used as a study or as an extra bedroom. 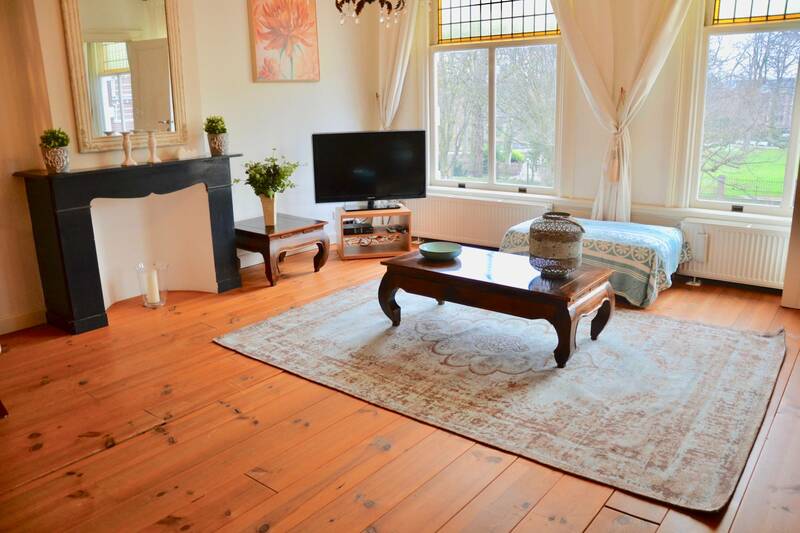 The livingroom has a wooden floor. 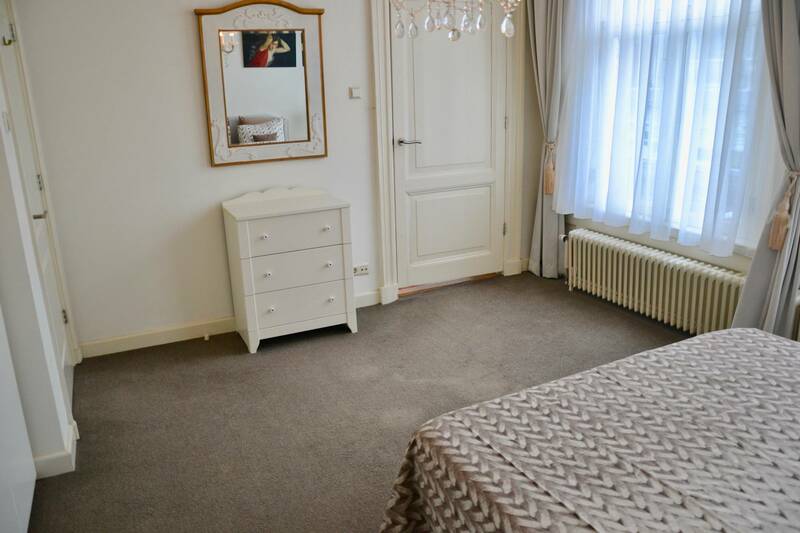 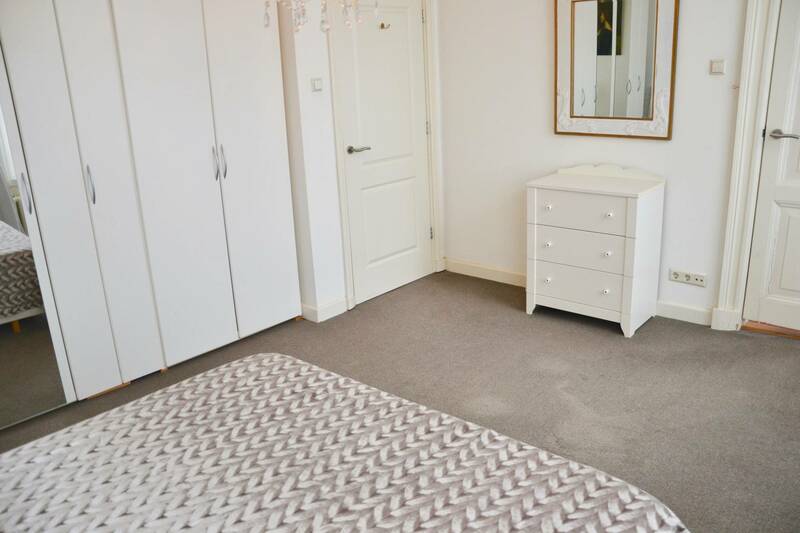 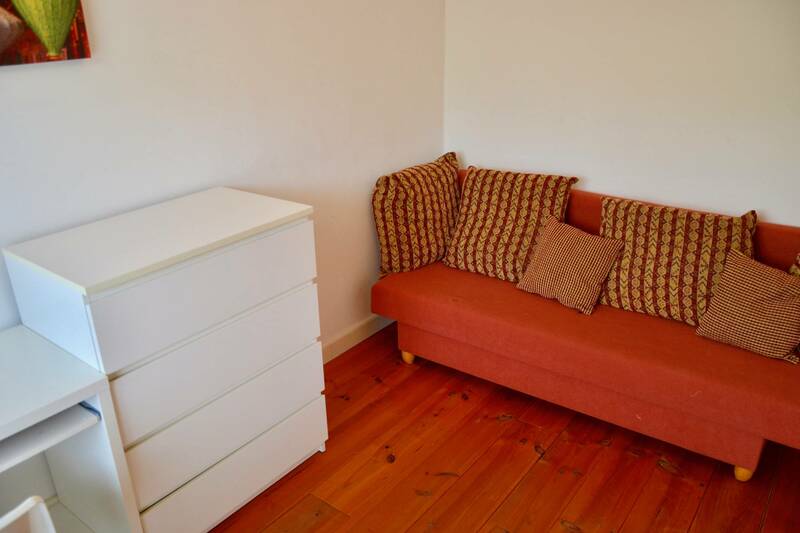 The master bedroom (ca.26m²) with a double bed and a large wall-to-wall wardrobe. 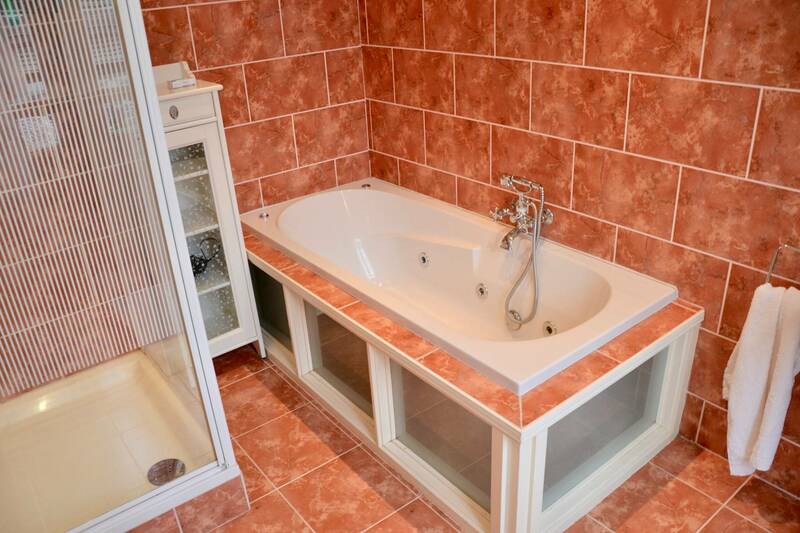 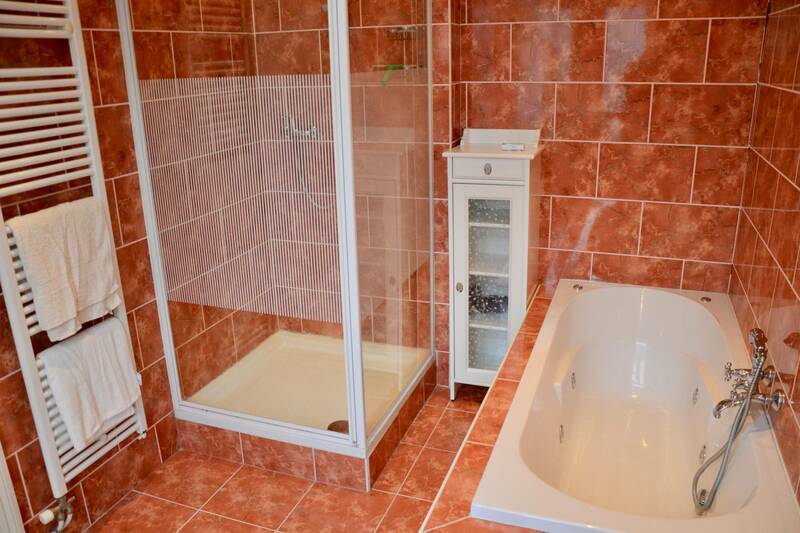 An ensuite bathroom (ca.10m²) with jacuzzi bath, separate shower, water basin and nice fixtures, separate toilet.